Ferrari is arguably the best Supercar manufacturer on the planet. With models like the Ferrari Enzo and Ferrari F40, Ferrari is synonymous with high performance, super fast cars. When asked which Ferrari is the best ever, it becomes nearly impossible to rank all the superb Ferraris built by the legendary Italian car maker over the years. Nevertheless, here’s our take on what we consider the top 5 Ferrari models ever made. Please feel free to share your thoughts about the list in the comments. The Ferrari F40 is a breathtaking Super car that was commissioned to celebrate 40 years of Ferrari production at Maranello, Itally. Originally designed to compete with the likes of Porsche 959 and Lamborghini Countach, the F40 is a showcase of what Supercars are capable of achieving. The car broke the 200 mph barrier and went on to become what many consider is not only the best Ferrari ever constructed, but also the best Supercar ever built. The Ferrari Enzo, named after the founder of the Italian motor company – Enzo Ferrari, was built to commemorate Ferrari’s first Formula One title win. The Enzo is a statement car with sensational mechanical capabilities. It can turn a lap at the Nürburgringin in just 7 mins and 25 seconds. The car’s specs and performance stats are class-leading, justifying its place in our top 5 Ferrari cars ever made. Let’s just say with only 400 copies of the Supercar produced, the Enzo is a winner and rarely changes owners. The Ferrari 250 GTO was designed to try and topple the Jaguar E Type from the helm and reinstate Ferrari as the dominant Supercar of the 60’s. After many championship wins and years of memorable racing, the GTO is now not only one of the most admired Ferraris ever built, but also one of the most desired collectors piece ever built. The Ferrari 599 GTO holds fourth position as the car that made the Ferrari Enzo better in almost every regard from styling to performance. Powered by a 661 horsepower engine, the 599 GTO reaches speeds of 60 mph in just 3.25 seconds. Although the 599 GTO might not be the most stylish Ferrari ever constructed, it is certainly is the most powerful Ferrari to date. Closing our top 5 best Ferrari cars ever made is the best selling Ferrari of all time. 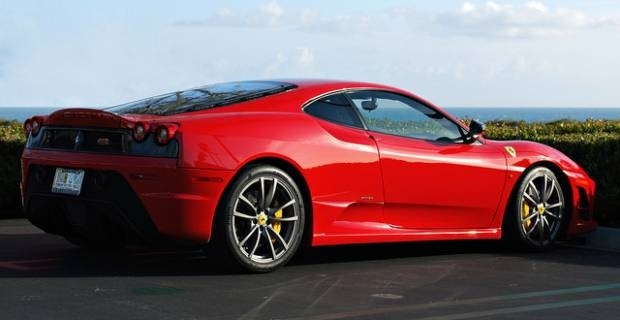 The Ferrari 360 has sold more than 17,000 units since it was first launched in 1999. The 360 is easier to service than most Ferrari models and was the first to introduce an F1 style gear box to a mid-engined Ferrari. Its styling and mechanical capabilities have earned it a place among the best Ferraris made in the modern era.